When Madhavan Nair’s obsession goes beyond limits, his parents get him married to Rajam, the daughter of a relative. How does he reconcile between the woman of his dreams and the woman in his home in the story titled ‘Calendar Girl’? Madhavan Nair reminisces over his mundane life with his inelegant wife, Rajam, a woman he has never been in love with. He has learnt to live with his wife and children, but with the recurrence of the dream, he is forced to linger on the thoughts of the woman of his dreams, and the ‘vestiges of an old, gnawing sense of deprivation’ begin to pierce his heart all over again. Do separation and unfamiliarity lead to apprehension in a marriage? How do long-distance marriages survive? After three years of being apart, does a marriage turn incompatible? Or does the fire get rekindled? These are the questions that worry Nirmal, the protagonist of the second story titled ‘Something In Between’. His wife, Veena and he are a pair of perfect parallel lines, each veering off in a different direction. He is shocked when she throws the following sentence at him with utter casualness. As an adult, he ponders over various questions. Had his mother ever fallen out of love with his father? Why did she take the decisions she did in life? What were his feelings towards his father? The three stories in this novella are bound together as they examine the complexities of marital ties. No marriage is ever the same, and no two people react in the same manner in the face of adversity. The adage of marriages being made in heaven seems a mere misnomer as it is on the face of the earth that problems are thrashed out and often, couples strive to get along, even if they are incompatible. 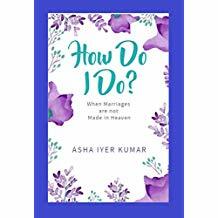 Asha Iyer Kumar examines three different cases, and convinces the reader that marriages have to be worked on with diligence and patience. She has an easy style that hooks the reader, as her stories deal with the resolution of conflict, followed by acceptance. What makes these stories believable is the fact that these dilemmas could appear in any marriage in a world where the institution of marriage is also taking a beating. The author shows no inclination to soften the blow. 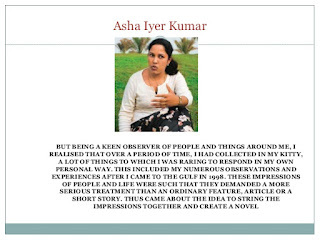 Thank you, Deepti, for the lovely review of my stories. Glad you enjoyed them. Wonderful to have some phrases highlighted. Tells me how dexterous the reading has been! Hearty compliments for your effort. Pl recommend the book to your friends. 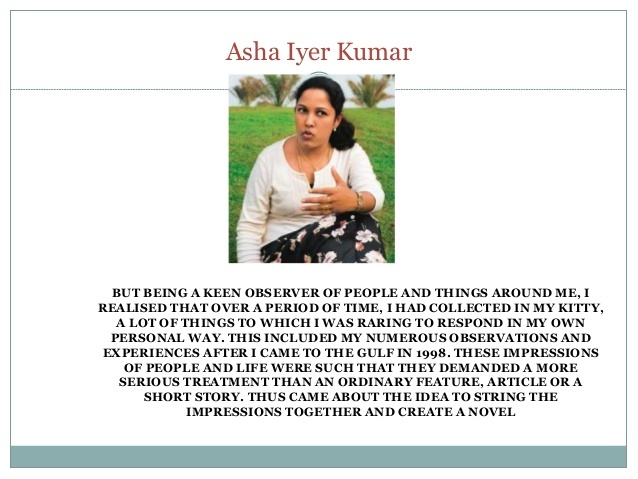 You're welcome, Asha. I did enjoy your stories and the reading was an easy one, mainly because of the seamless and easy style of your writing. Thank you so much for appreciating my review of your book. That has really made my day. 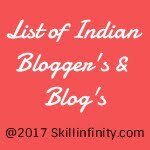 Here's to many more books and more writing!